A while back, before the ground froze and things were still growing in these parts, a dear coworker shared her garden with me. She gave me cherry tomatoes, green peppers, and a beautiful, ginormous head of cabbage. I love cabbage but apart from making coleslaw a few times I haven’t really done much with it so decided to seek out a new way to prepare it and in the process could not decide between two different recipes in the same Mark Bittman cookbook so opted instead to make both. 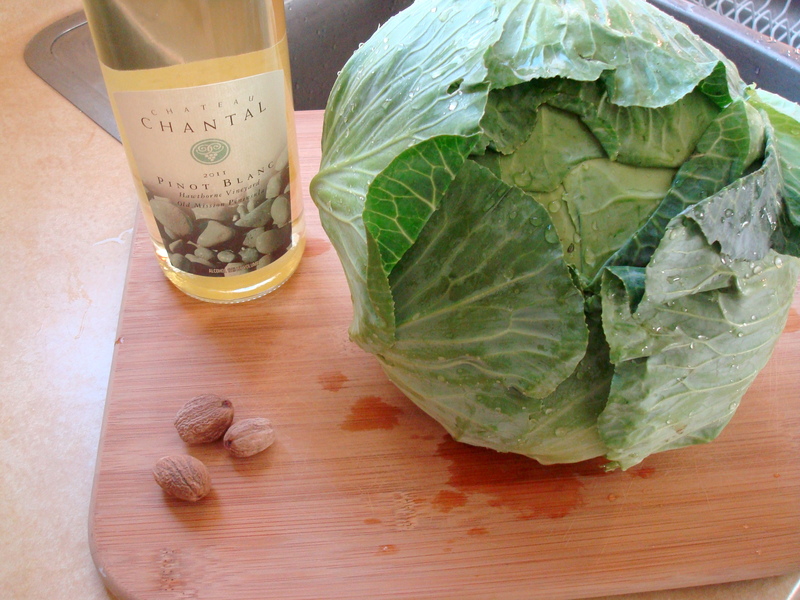 Since the head of cabbage was so large I chopped it in half and had plenty to use with each recipe. I braised the cabbage two ways, first with wine and nutmeg, and the next time with apples and cloves. Both were very good but I think I prefer the wine and nutmeg method. It had less ingredients so was a little simpler to prepare and also think it really complemented the flavor of the cabbage. Of course if you are a person who likes savory and sweet together than the apples and cloves version is the way forward. Just don’t pull the move that I did and think that if 3 cloves are good than 5 must be great because they for sure overpowered the dish… lesson learned! Place the olive oil or butter in a large, deep skillet that can later be covered, over medium heat. Add the cabbage and stir until it begins to brown, about 5 minutes. Add salt and pepper, then the wine; let the wine bubble away for a few moments, then add the sugar and nutmeg. Cover and simmer until tender, about 15 minutes. Check the seasoning and serve. Melt the butter over medium heat in a large, deep skillet, saucepan, or casserole. 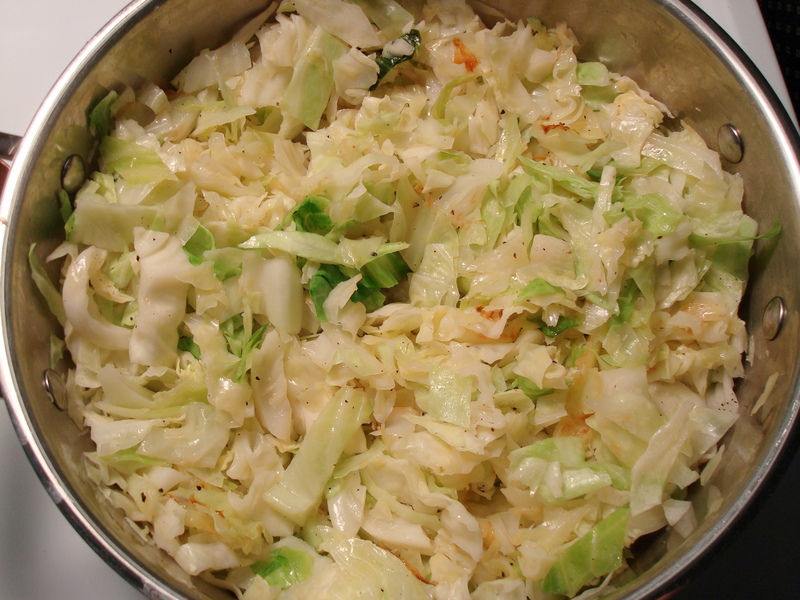 Add the cabbage, apples, and cloves and cook, stirring until the cabbage is glossy, about 3 minutes. Add the liquid, turn the heat to medium-low, cover, and cook, stirring occasionally, for 30 minutes or more, until the cabbage is tender and the apples have fallen apart. If the mixture dries out, add a little more liquid. Stir in the jam or jelly and season with salt and pepper. Add the lemon juice or vinegar a few drops at a time, tasting after each addition, until the sweetness of the cabbage and ales is balanced by a nice hint or acidity. Discard cloves and serve.